Tommy Kevin is a Research Assistant at the Institute of Water Policy, Lee Kuan Yew School of Public Policy, National University of Singapore. He majored in Sociology at Nanyang Technological University, where he was also Research Assistant. He has a previous background in the built environment sector, with work experience in the area of town management. In 2007, he successfully led a team to develop an anti-mosquito breeding device installable on roof drainage systems. The fully workable prototype won an award at Sembcorp Marine’s Green Wave, a nation-wide competition in environmental sustainability among the tertiary institutions, and was featured on Lianhe Zaobao (23 Jan 2008). At IWP, he is researching on water policies relating to urban drainage solutions, in particular, the use of Water Sensitive Urban Design in tropical cities, as well as their social use-values in sustainable real estate. 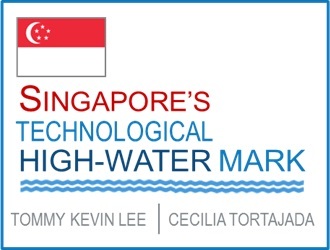 He is also working on the social, historical and geopolitical contexts of water governance in Singapore. Water Efficiency Policy: A Technological High-Water Mark?